• Plantain, Grindelia and Common Sundew have emollient and soothing effects on the oropharyngeal mucosa. • Common Sundew, Licorice, Common Poppy, Ivy and Star Anise promote the fluidity of bronchial secretions. Plantain, Grindelia, Common Sundew, Common Poppy, Common Mullein, Blackcurrant, Black Alder, Common Hornbeam, Licorice, Ivy, Pine, Grapefruit seeds, Star Anise. -Liquorice: it is primarily the roots of the liquorice plant that are used, and these are harvested in the autumn and winter months. A black liquid containing glycyrrhizin, which maintains the fluidity of bronchial secretions and keeps nose and throat healthy, is extracted from the root. -Grindelia (Gumweed): This is a perennial, herbaceous plant which forms a bush of about 50-60 centimetres high. The flowers exude a balsamic resin. It exerts an emollient and soothing action on the oropharyngeal mucosa. -Plantain: Thanks to their numerous components, plantain leaves improve upper respiratory tract function and have an emollient and soothing action on oropharyngeal mucosa. -Red Poppy: poppy petals contain alkaloids, mucilaginous substances and anthocyanins, which are responsible for the red colour; they improve upper respiratory tract function. -Drosera (sundew): a carnivorous plant with long tentacles that exude a viscous liquid, which traps small insects. It increases the fluidity of bronchial secretions and and has an emollient and soothing action on oropharyngeal mucosa.-Verbascum (mullein): this is a very common plant that can reach heights of 2 metres. It is found in coastal and submontain areas and can be easily recognised by the downy white hairs that cover it. -Ivy: Common ivy, which has thick, bright green and shiny leaves often with silvery marks along its veins, increases the fluidity of bronchial secretions.-Blackcurrant: Well known for its use as a bud extract, many parts of this plant are used (drugs) and it therefore has different actions, including for nose and throat health.-Black alder: In Italy this tree grow in the prealpine area, up to 1200 metres altitude. Its wood is often used to produce various items. It contains substances such as tannins, lipids and pigments that enhance nose and throat health. -Hornbeam: Widespread in forests up to 900-1000 m, this tree is also found in the cooler, wetter parts of the Po Plain and enhances the fluidity of bronchial secretions. Star anise: This has a somewhat sweet flavour, an aroma similar to fennel seeds and a slightly minty aftertaste. 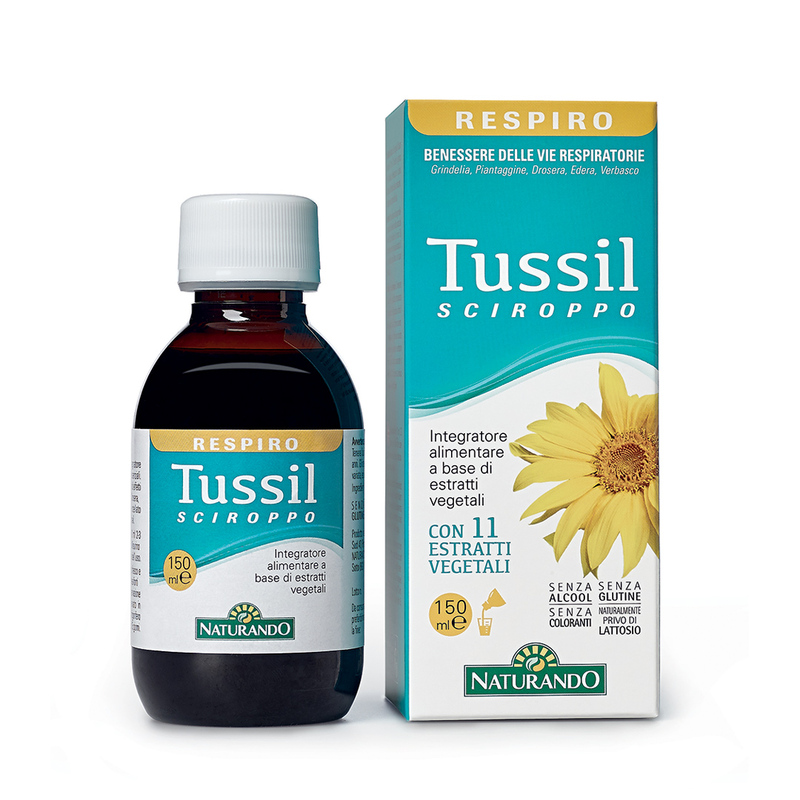 It increases the fluidity of bronchial secretions and maintains nose and throat health. Scots Pine: The essential oil from the needles of this evergreen tree, which grows wild in all mountain areas, has balsamic effect on the respiratory tract.Grapefruit: This is an old hybrid, probably from a cross between sweet orange and pomelo, or shaddock. The dry extract of its seeds has an antioxidant action; it protects cells against aging caused by oxidative stress. Take 10 ml 2-3 times a day. Halve the dose for children. Do not give to children under three years of age.